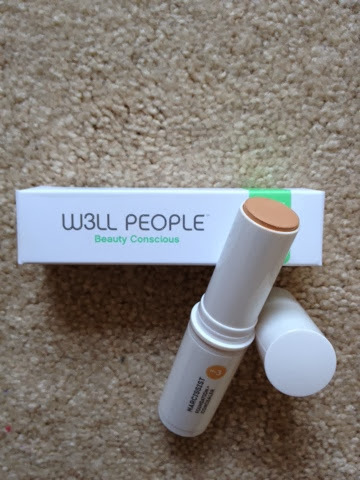 Beauty & All That: My First W3LL PEOPLE product! W3LL People creates natural & organic beauty products and its Narcissist foundation & concealer stick has become my latest daily must-wear! I was able to one of their most popular products from Goodebox's recent giveaway. I adore that the conveniently packaged foundation stick is creamy and perfect to hide any blemishes, redness or dark spots. I'm also loving this to hide those dark circles while skipping the eye cream first. It feels really natural on your skin, doesn't feel heavy at all! The coverage is great and it is formulated to blend well so you can add more product without the "cakey" look. Thanks to Goodebox & W3LL PEOPLE for their giveaway!